After such a long time working in this part of the country, Pave Cleaners LLC. has built up quite a standing in the community and left a lasting impression on their customers. Arizona, with its year round sun has some of the most beautiful outdoor landscaping in the country. With all of these outdoor living spaces, you can imagine that we’ve handled a lot of situations over the last 10 years. Great job on the travertine. The color really pops now! Just what is was looking for. Shane cleaned our garage and driveway. He is very conscientious and does a great job at a resonable price. We highly recommend him. We were instructed by our landscaper to sweep sand into our pavers once a year. We went to a sand and gravel distributer asking for advice on what kind of sand to use. They sold us polymeric sand. After applying the sand, we ended up with a white hazy film all ouver our pavers. I thought they were ruined. Shane came to our home, assessed the situation and said, “Not to worrry”, he could restore our pavers. He cleaned our pavers and applied a sealer. Our pavers are beautiful, We are 100% happy with the results and the cost of the job was very reasonable. Pave Cleaner came in and did an amazing job on my 2 car garage. Had a lot of oil and grease and they got it all up to my surprise. Car was leaking like pretty bad and thought no way they could get the garage clean again. The epoxy job is very impressive. Neighbors are jealous. I highly recommend this company. They are professional and pay attention to details. Pave cleaner cleaned and sealed my paver driveway and patio about 6 months ago. It still looks the same as the day they sealed them. The sand is locked and doesn’t go in my pool anymore. i cant believe how amazing they made my driveway and patio look. it makes a huge difference to my curb appeal. all my neighbors always compliment me on my driveway. I will definitely be having them back to reseal my pavers when it needs done in the future. They were very professional and friendly and they were there when they said they would be. Thanks again pave cleaner. We had some water settling issues due to the paver installers that contributed to calcium buildup. We called Shane and he promptly came out and addressed the calcification problem by applying a freshen up coat of sealer. We still were within the 1 year warranty. Great customer service! Shane saved our renovation investment. We had recently completed a significant renovation to the exterior of our house. The problem was, our contractor decided to lay pavers before applying a smooth stucco to the house so our pavers were covered with white spots. After firing the contractor, we brought Shane on. He took care of it in a matter of days. They were detailed, respectful, and punctual. Shane and team just completed a job for me in my small courtyard; I had hired a so called handyman to replace the sand between the interlocking pavers. The result looked like someone spilled milk on the patio and everytime I watered it down it became worst. They had to take up all the sand, that I paid the handyman to put down. They power washed the area, sealed it with the wet look and laid more sand. The comments, I have received so far like the contrast with the house, I had originally thought the color would not work. They were neat, professional and did what they said they would do. I will recommend them to neighbors and friends alike. Pave Cleaner LLC , owned by Shane Mickelson, gave us an estimate for the removal of two layers of old paint from our cement patio. He also gave us an estimate for the removal of badly decaying sealer or some other type of product which was on “cheap” tile, and fading, peeling, and had several discolored areas in another part of the yard.. The estimate was fair, written down, and he totally explained the process. Shane arrived when he said he would, and brought his cousin, Guy, who also works for him. Shane was very thorough and explained each process and what he was doing with the chemicals to remove the paint, the heat he used and the power washer powered by diesel. This is a process that took two days. The cement patio paint came off after a lot of hard work. The tile which was here when we bought the house, was very stubborn, and the sealer or whatever was on it was hard to remove. Again,every step of the way, Shane explained to us what was occuring, what he could do….he even reduced his price when he wasn’t satisfied with the job – not due to anything he did, but due to the age of the tile and the problem with its condition. Shane runs his company professionally, and we could tell that he was a perfectionist. Aside from all of the above, he is a delightful person to be around . Our Carport was covered with Oil stains + Rust spots. We called Pave Cleaner+ they came right out. They Started the project right away and it looks great. We get a lot of compliments from the neighbors +we are totally satisfied. We would recommend Pave Cleaner to any one . Signed Bob And Marcella Dorsey. This was Written Word for Word From the Letter They Wrote For Us Thanks This Was A Epoxy Floor Coating in November 2010. We hired Pave Cleaner LLC to clean, seal all exterior stone, and etch the garage floor. Shane, provided a complete explanation of his process, warranty and price which made us very comfortable to go forward. What astonished us the most was Shane’s focus on perfection and customer satisfaction which is second to none. We are extremely satisfied and enjoy our new look. Shane of PaveCleaner LLC did an excellent job of cleaning my outside tile. Happy with the service I was very impressed when pave cleaner came to my home to clean my driveway of oil stains. I used everything you can think of and nothing worked, so I called pave cleaner and they came out and in a short period of time they got the stain out and you can’t tell there was anything there. Pave Cleaner did a FANTASTIC job and I highly recommend there services to everyone. I will be using them for future cement cleaning for sure. Comments : Absolutely the best, most professional contractor we have ever worked with! I recommend these folks without reservation! Knowledgeable, helpful, reliable alll with a great price! Checked around on prices to seal my travertine and flagstone patio. Several companies told me one price over the phone and another price when they came out to look at it (add on this and add on that) . I called Pave Cleaner to get a free quote and I was super impressed with professionalism they expressed both on the phone and in person. I have never had better service from a company like this. 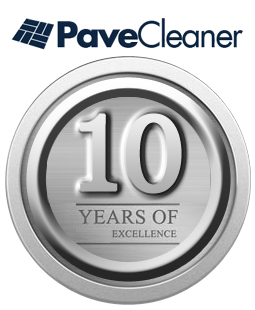 I would recommend Pave Cleaner over the others not only for their professionalism but their quality work as well. I am super happy with how my patio looks now. Finally I can catch some sun and enjoy my pool with a beautiful floor. Thanks again Pave Cleaner. Shane and team did a super job correcting stained pavers at my home. The sand seal work is consistent and is quality. I had a couple of cost estimates provided before I selected Pave Cleaner. Pave Cleaner was almost half the price of other quotes. The quality and timeliness of the work was outstanding. Shane and Guy are very courteous and professional. My new travertine patio and pool deck look great! I am very pleased with the work Pave Cleaner did to bring out the natural beauty of the stone. Prices were very reasonable. I highly recommend this company.